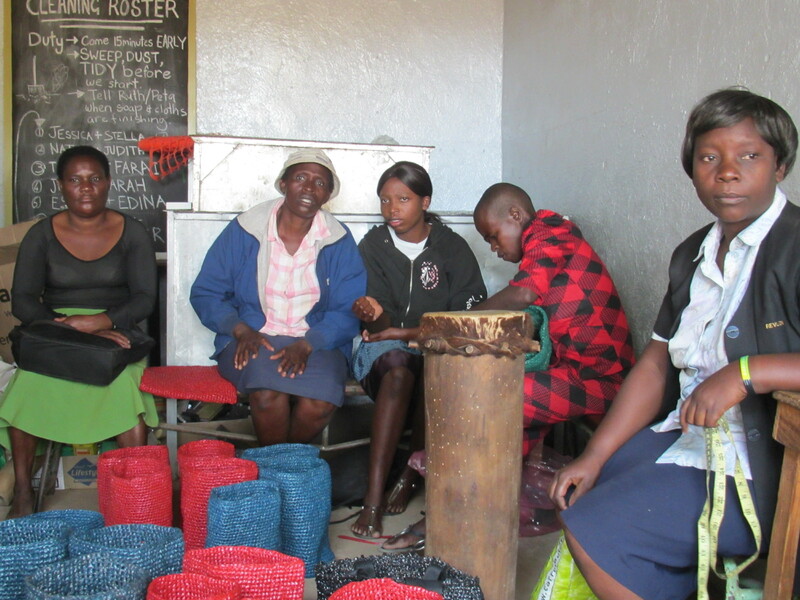 To reduce the treatment gap for common mental disorders in Zimbabwe. The burden of mental illness in Zimbabwe is high. An estimated 30% of primary care patients have common mental disorders, yet access to mental health care within primary care is extremely restricted, resulting in an enormous treatment gap. The Friendship Bench uses a task-sharing approach to alleviate the situation by training lay health workers to recognize mental illness using a locally validated assessment tool and offer evidence-based problem solving therapy. 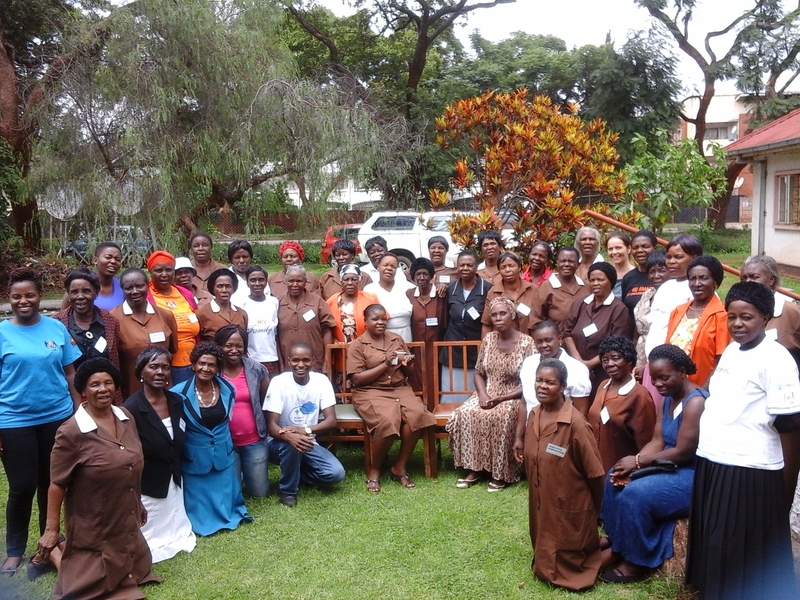 These health workers are based in primary care clinics and are in regular contact with clients. 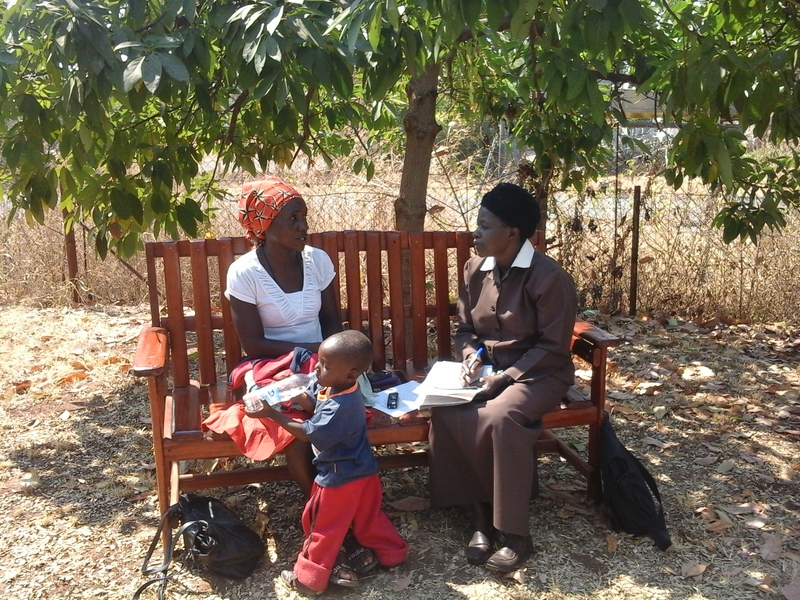 A bench is placed within the clinic premises, where clients can speak with the health workers about their problems. We call this the “Friendship Bench”. 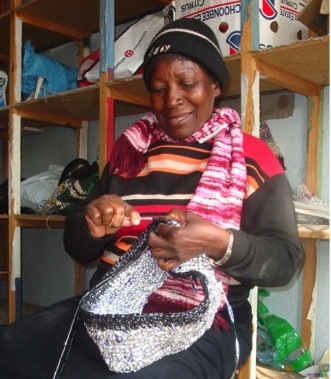 Clients are also offered to take part in the income generation component of the Friendship Bench, the peer support group Circle Kubatana Tose, where they are taught to make bags out of recycled plastic and learn to share their stories with others in a safe environment. In Harare, 33 primary care clinics refer over 600 patients per month to the 8 tertiary-level mental health specialists. Cities of Chitungwiza and Gweru had no resident mental health specialists and also referred to Harare’s two psychiatric hospitals. 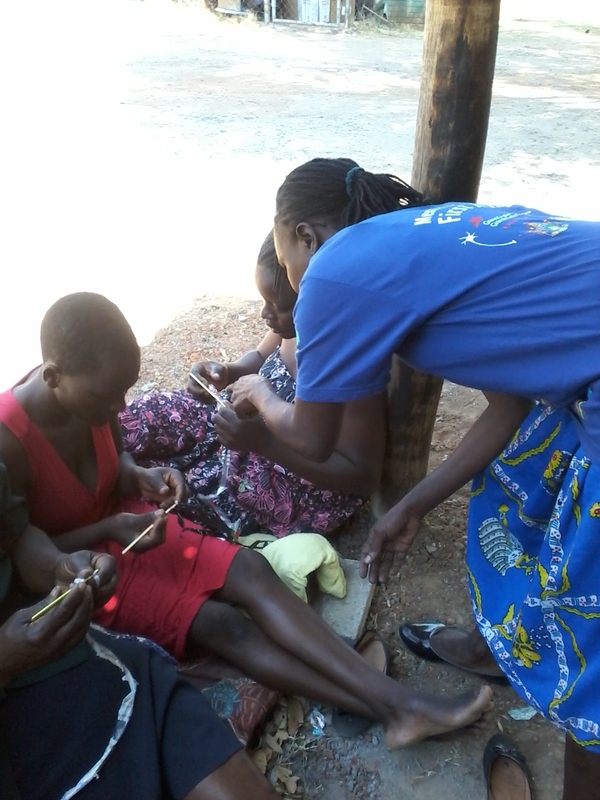 250 lay health workers were employed in the same primary care clinics and were incorporated into the Friendship Bench task sharing program The goal of this innovation is to share tasks with these lay health workers to ensure that common mental disorders are recognized and treated. 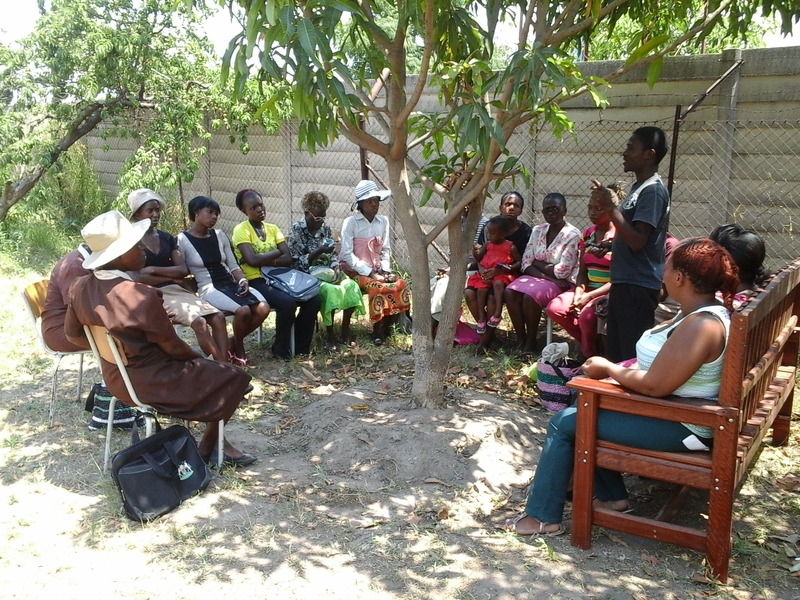 The Friendship Bench started out as a research project and with CDN $1 million in funding from Grand Challenges Canada in early 2016, the Friendship Bench Program has since been scaled-up to 72 clinics in the cities of Harare, Gweru and Chitungwiza (total population 1.8 million). To date, over 40 000 people have accessed treatment. This innovation is funded by Grand Challenges Canada and other partners. 14% of patients in Friendship Bench problem-solving group experienced symptoms of depression after 6 months compared to 50% patients in the control group. 48% of patients who received standard care still had symptoms of anxiety compared to 12% who received Friendship Bench (based on the GAD), and 12% of patients who received standard care still had suicidal thoughts compared to 2% who received Friendship Bench (based on SSQ). Friendship Bench has been scaled-up to 72 clinics in the cities of Harare, Gweru and Chitungwiza (total population 1.8 million). To date, over 40 000 people have accessed treatment. $1 million in funding from Grand Challenges Canada. "I used to give advice to my clients, now I have learned to work with them through their problems which helps them much more. I can also use it for myself and my family." The Friendship Bench is a brief psychological intervention delivered by supervised lay health workers who have received training in problem solving therapy and behavior activation. It consists of up to 6 structured 45-minute sessions delivered on a wooden bench within the grounds of the clinic in a discrete area. They are given by supervised lay health workers, known as ‘grandmother health providers’, who have received training in problem solving therapy - a type of cognitive-behavioral therapy (CBT) geared to improve an individual's ability to cope with stressful life experiences. This study has involved more than 550 patients with anxiety or depression, all aged 18 or over, at 24 randomized primary care clinics in Harare. Patients at 12 control group clinics were given standard care while those in the treatment group at 12 other clinics received Friendship Bench. After six months, all participants were then re-assessed using locally validated questionnaires for depression and anxiety; the Shona Symptom Questionnaire (SSQ), the Patient Health Questionnaire (PHQ) and the Generalised Anxiety Disorder scale (GAD). 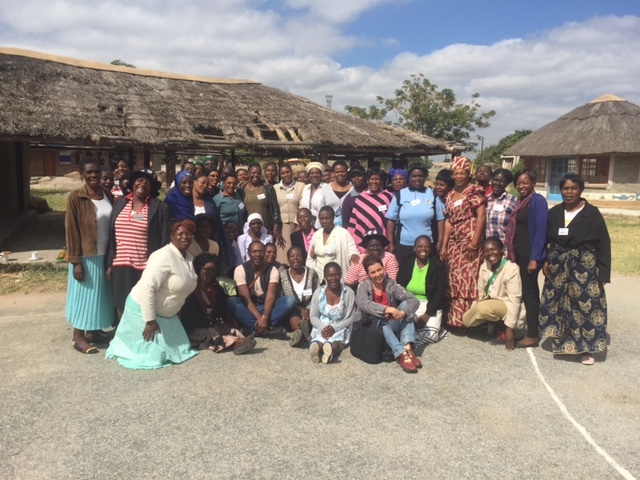 With CDN $1 million in funding from Grand Challenges Canada, the Friendship Bench Programme has since been scaled-up to 72 clinics in the cities of Harare, Gweru and Chitungwiza (total population 1.8 million). To date, over 27,500 people have accessed treatment. The innovation integrates an existing income generating project (zeeBAGS) as an additional intervention component. 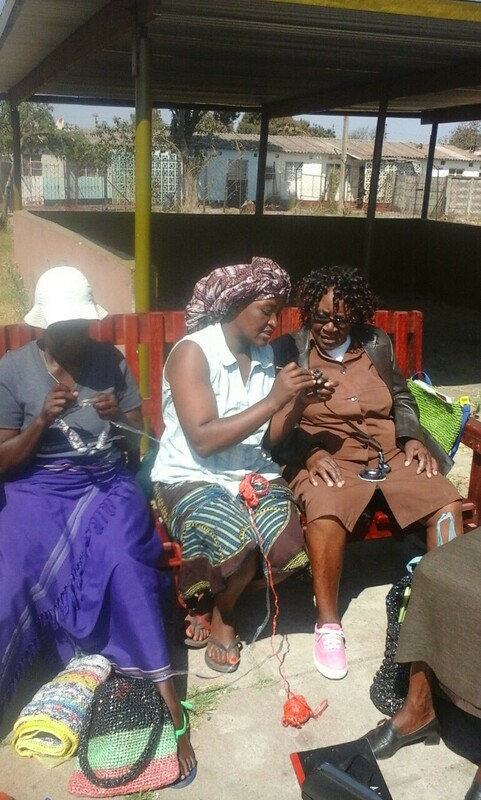 The essence of this innovation is delivery on benches by elderly women who are commonly referred to as ‘grandmother health providers’ and use smartphones to communicate with their supervisors. Sustainability is a key challenge which we have tried to address by keeping key stakeholders engaged throughout the process. 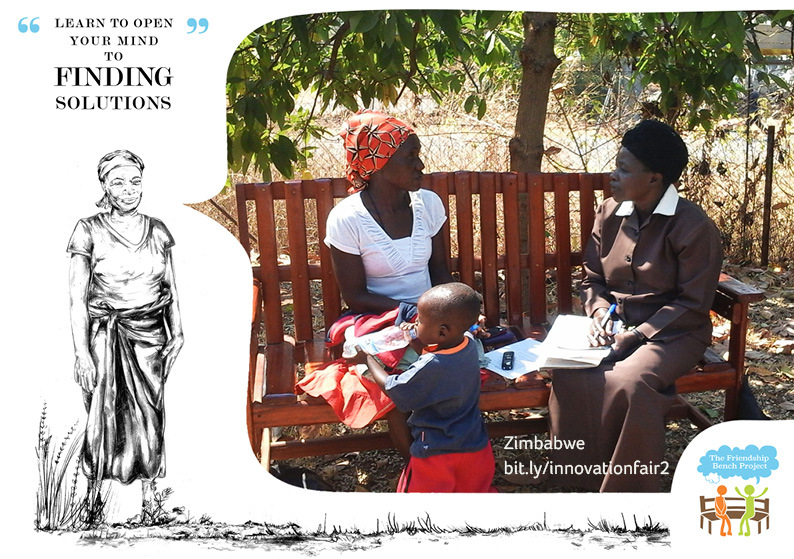 This innovation is currently scaled up to 3 cities in Zimbabwe. A close cooperation between the Friendship Bench and Médecins Sans Frontiers (MSF) has been established in order to enable transition to scale. MSF particularly works on mental health care in prisons and sees the collaboration as a valuable contribution to the care of released inmates with mental illness. The Friendship Bench is also working on a technological platform to support training and supervision. In the future, the vision is to deliver most of the training courses as distance learning, as an addendum to direct teaching and for ongoing professional education. The system will be designed to facilitate additional treatment issues in future iterations, such as cholera awareness programs, maternal and child health components, and direct observed treatment strategies for pulmonary tuberculosis. The intervention was evaluated through a cluster randomized controlled trial which was finalized in September 2015. The results showed effectiveness in all outcome measures and the intervention was subsequently approved for scale-up by the health authorities. Grand Challenges Canada provided $852,206 USD over three years for formative research leading to a cluster randomized trial. An additional $1 million was being used to scale up the Friendship Bench to 72 clinics in three cities in the country (Harare, Chitungwiza, Gweru). 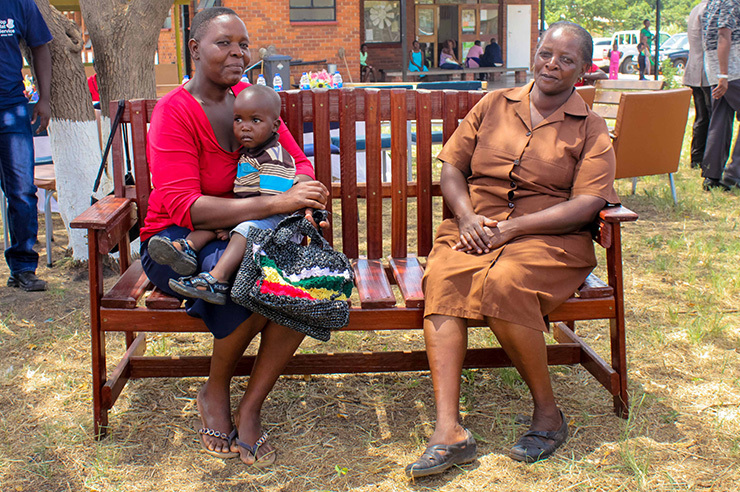 Friendship Bench has been scaled-up to 72 clinics in the cities of Harare, Gweru and Chitungwiza (total population 1.8 million) and to date, over 40 000 people have accessed treatment. Results are that 14% of patients in the Friendship Bench problem-solving group experienced symptoms of depression after 6 months compared to 50% patients in the control group. 48% of patients who received standard care still had symptoms of anxiety compared to 12% who received Friendship Bench (based on the GAD), and 12% of patients who received standard care still had suicidal thoughts compared to 2% who received Friendship Bench (based on SSQ). Friendship Bench had $1 million in funding from Grand Challenges Canada. 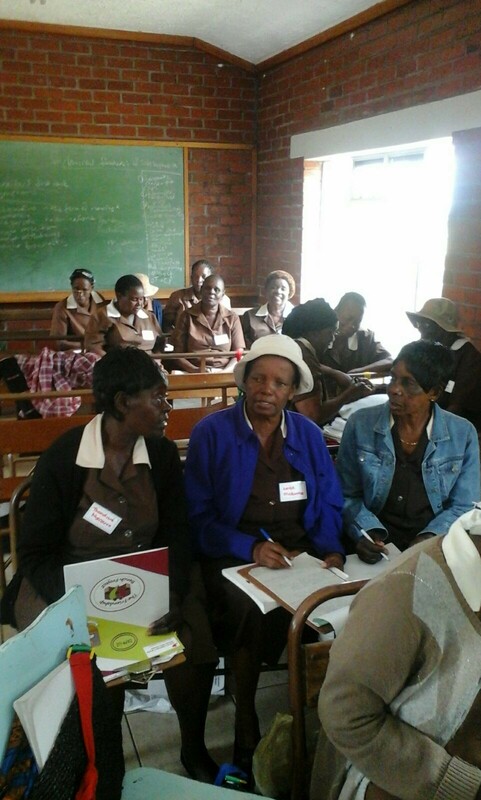 The Friendship Bench Training Manual offers a brief psychological intervention addressing kufungisisa (Depression) in primary care clinics in Zimbabwe.